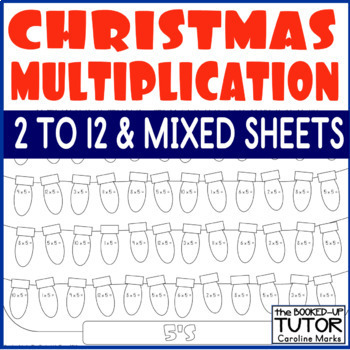 Christmas lights themed multiplication times tables worksheets 2-12, with a mixed 2s, 5s and 10s worksheet and four mixed 2-12 worksheets. 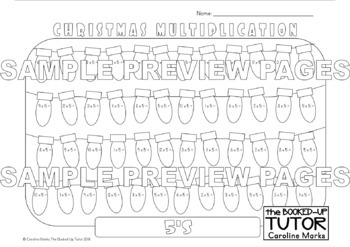 Perfect for encouraging multiplication practice and basic number fluency in the build up to Christmas! 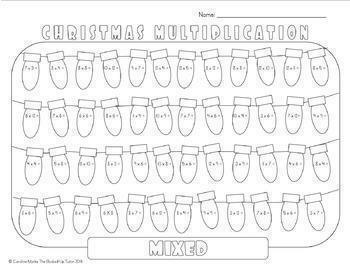 16 worksheets altogether, black and white, just print and go.